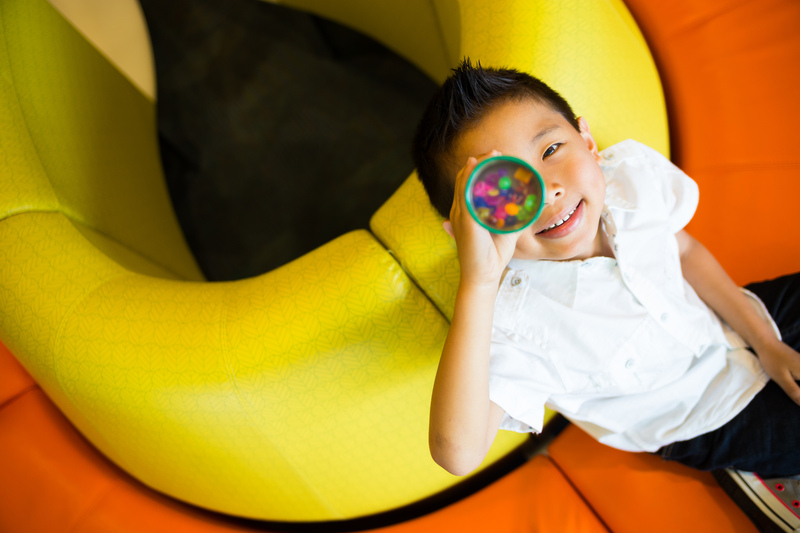 Four years ago, 15-year-old Lydia Tam was undergoing inpatient chemotherapy at OHSU Doernbecher Children’s Hospital – and she forgot to pack socks. Our hospital provided her with a pair to keep her feet warm. Although a sock snafu was the least of her concerns while she was being treated for a brain tumor, it sparked an idea. 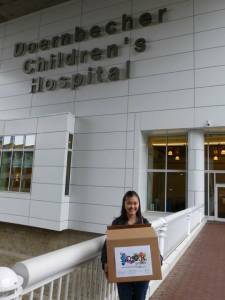 She started collecting and delivering socks and slippers to patients at OHSU Doernbecher through her Socks of Care and Kindness (S.O.C.K.) Project, which she launched in 2012. “I started small by donating socks on 10S, and we kept getting more socks and more support from other people,” she said. Her deliveries grew as support swelled, and when she visits, she typically brings around 500 pairs of socks for patients in various units. 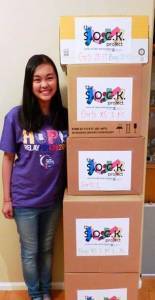 Lydia says her main objective is simple: to bring a smile to someone’s face. The S.O.C.K. 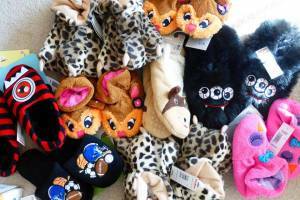 Project collects slippers and socks that are age appropriate and can add a small dose of excitement to a child or teenager’s day with fun colors and characters. Lydia, now a 19-year-old student at Stanford University, is studying biology and hopes to go into the medical field someday to give back in an even bigger way. 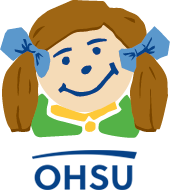 For now, though, she’s grateful for her own care team (including Dr. Kelly Nazemi and Dr. Lisa Madison), whom she sees when she’s back from school. Visit The S.O.C.K. Project’s Facebook page to learn more and get involved here. Donations will help warm a child’s toes and heart!